Recently, I received feedback from one of my students. The student has shared his amazing experience after he studied my courses and has even provided a couple of interesting games. I thought I could share this nice feedback with you. So let’s get started! I’ve just purchased your new course and I can say that already I have a déjà vu feeling. The first course I bought was “The Grandmaster’s Secrets” (LINK). For some reason, it didn’t work for me. After a while, I thought I’d give your courses another try and bought “The GM’s Positional Understanding” (LINK) – and voilà! My internet blitz rating went instantly +200 points and I haven’t even started to do the exercises yet. And I was very enthusiastic about purchasing your course “GM’s Opening Laboratory – 1” (LINK). I know it was criticised by a lot of your clients – that that specific course was not up to your high standards. Let me tell you that it didn’t work for me either. BUT I had the same problem with “GM’s Secrets”, too. After studying the “GM’s Positional Understanding”, which I think goes more deeply into strategy than “GM’s Secrets”, I couldn’t explain to myself why I hadn’t been able to benefit from it at the beginning. I’m convinced that the main reason was that I hadn’t spent as much time with it. Someone said that chess is very easy to learn but very hard to master. Now I know that he was the “Hell of a right”. In one year, my game improved very fast; but I can also say that, in 2013, my chess development went backwards. The first one is 45 min+10 sec; the second is a blitz game. Of course, I wasn’t able to see the move 23.Be2! – simply because it’s not on my half of the board. I played this game a year ago. Now after studying “GM’s Opening Lab 2” (LINK), it’s obvious for me that the move 22…Re4 is more than dubious,even if I didn’t see 23.Be2 instantly, because it restricts my bishop enormously. So now I would probably think much more before making my move or, in time trouble, I wouldn’t risk it at all. I was White and played 21.Rc7? I’m probably losing already, but after this move it is 100% sure. Of course, I didn’t want the Black rook to land on b2 attacking my queen. I thought I could defend my bishop with 21.Rc7.With that move, I keep his rook from penetrating to my second rank and also put my rook on the seventh rank, and the fight might go on (it’s a blitz – there are only a few seconds left). But I didn’t find the obvious move 21…Qb6. I’m very much aware that your courses must have different effects on various chess strengths people have. Let me congratulate you, as you impressed me with “GM’s Positional Understanding” and you did so again with your “GM’s Opening Lab 2” (LINK). I’m very much obliged to you. Don’t get me wrong: I’m not saying that these are your best courses. 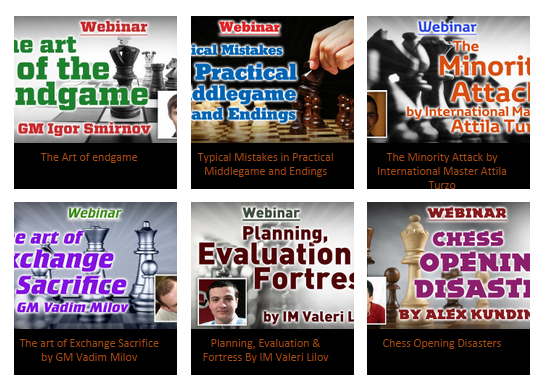 Your endgame, middlegame and calculation courses are all very strong, but I got the point from them instantly (check all RCA courses here: LINK). I’m just telling you that I had to dig deeper into those principles and certainly wouldn’t have been able to do so without your help. One must really spend some time with them to let things sink in properly. This course has definitely deepened my strategic and planning skills as well. Life convinced me of the contrary. But let me thank you, again, for your wonderfully explained course. Thanks a lot for such wonderful feedback Zoltan. I’m very glad that my courses were essential for your improvement! I wish you well-deserved success. About a week ago, on 20 July (International Chess Day), I conducted an “Ask Me Anything” (AMA) event on Reddit. The event lasted two hours and I wrote over 2000 words of advice, anecdotes and even jokes. One of the students has summarized all of my thoughts into different categories. Reddit is slightly frustrating in format because of too many threads. This student has organized them across several different topics and published it on his personal blog (LINK). I found it very nice and instructive, and would like to share it with you now. You can find the original Reddit thread here – LINK. Use ACTIVE learning – think for yourself to find the best moves. Just watching videos is for Hollywood, not for serious chess training. Inconsistent training brings inconsistent results. It is rare for people to have a well-thought-out training plan or even a plan at all. 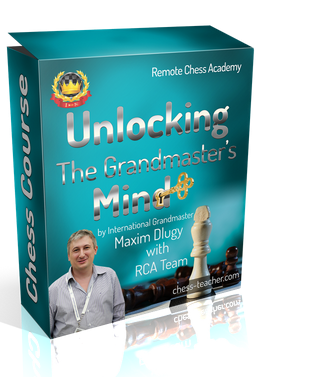 Check out these resources– Free: RCA Rapid Improvement Plan (LINK); Paid: Self-taught Grandmaster (LINK). If you’ve been away from chess for a while, just play a few practice games and solve a few problems. Your understanding won’t disappear. Opening preparation is much more important and powerful at the IM/GM level. In particular, planning and an organized thinking system are what allow GMs to see 10-15 moves ahead. IMs and GMs have comprehensive knowledge about chess, whereas NMs tend to be more specialized in some areas. Grandmasters play mercilessly, always creating problems for opponents, while lesser players (including FMs) just follow well-known rules. An anti-blunder check is always required, even in time trouble. It is the most important part of your thinking system(or at least the part you never skip). They key, as always, is to keep your piece activity high (learn more about this in “Grandmaster’s Positional Understanding”: LINK). With regard to planning, only plan during critical positions. You don’t need to plan and re-plan every move. Blitz is also useful for getting lots of experience in different openings, quickly. “Everything is hard until it is easy”. Never give up. Intuition in chess is powerful. It often shows us the best move that our current chess understanding can see. Computers are not “sucking the joy out of chess”. They are a tool that serves us. Analogy: cars run faster than people, but we still run. Don’t complicate things: complexity prevents progress. P.S. I hope you had a nice time at my ‘AMA’ event and learnt at least one thing that was new and interesting! Thanks for participating. Generally, there are certain rules and principles that are followed in the endgame stage of a chess game. But in some cases, these rules might not be applicable. White is down two pawns here. Moreover, his only two pawns are not connected, whereas all the Black pawns are connected. So it seems that White doesn’t stand a chance here. What do you think about this situation? Do you think it’s a win for Black or can White push for a draw? Please think about it seriously, as I believe you are going to learn something very exciting and effective today. Normally, endgames with different- (opposite-) coloured bishops might end up in a draw. But it’s not so in all cases. There are some ‘regular’ chess rules that will not work here. Sometimes, a player may have a few extra pawns (like in the above situation), but still the game would end in a draw. There is something ‘mysterious’ here. You need to understand the idea clearly – the concept of such chess endgames. Sometimes having a material advantage cannot be considered as a real advantage – it may be in vain. To help you understand this philosophy, our guest coach GM Levan Aroshidze has prepared a video lesson for you. 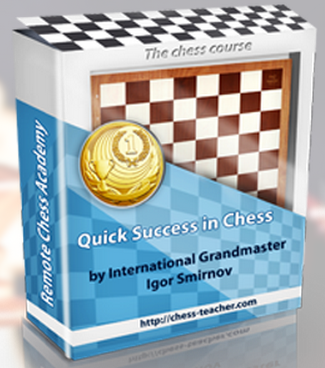 “I’d love to see Igor Smirnov’s story as a chess prodigy and becoming the Grandmaster in a book or video. Therefore, I’ve decided to write a book – hence, it might be helpful for you to get the lessons that I’ve learnt over the 21 years of my ‘chess journey’. You can help me write a really valuable book soon. Please write in the comments below what you would like to see in this book. Any of your questions or preferences are highly welcome. First, on 19 and 20 July, you’ll get 10 x RCA Points on your purchase(s). So don’t miss this really MASSIVE opportunity! Second, as you may already know, my second “Ask Me Anything” (AMA) event will be conducted on Reddit on International Chess Day, 20 July at 10 a.m. New York time (check timings here: LINK). Of course, you may ‘follow’ me on my Reddit profile and get ready for my AMA event (I hope you are ready with your questions. :)) However, just stay tuned, as we’ll be sharing the link of the page where my AMA event will be conducted!